I get this message all the time: "It's going to be my first year in a self contained classroom. What do I need to start off the year?!" Let me just start by saying, this is a BIG question with really no right answer. However, after teaching in self contained for the last 8 years, I will try to answer it to the best of my ability! Some of this will be geared more towards elementary, but some of it can be used across the board! This will be part one of two blog posts, the second being more about how to start off your year with kids, paraprofessionals, and your classroom as a whole! 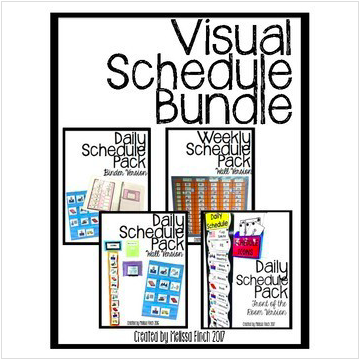 This visual schedule pack in my shop is perfect for an elementary classroom just getting started with schedules! This Visual Schedule Bundle by Autism Adventures is a great option for middle/high school students! 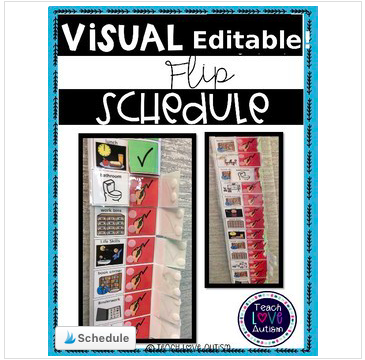 This Visual Editable Flip Schedule from Teach Love Autism is another great option for older students and different than the traditional visual schedule! 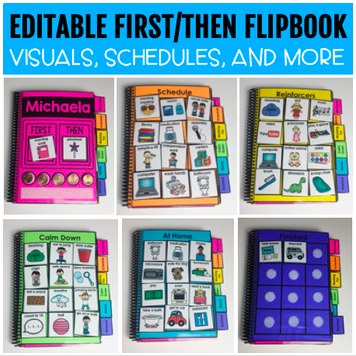 This First/Then Flipbook from Especially Education is a perfect schedule option (and includes behavior stuff as well!) for your students who go out to inclusion! This kind of goes hand in hand with the visuals. You will most likely need to make more behavior visuals once you get to know your students, but here are a few great resources to get you started from day one! 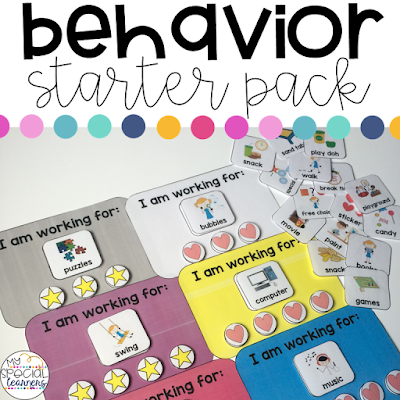 This Behavior Starter Pack from my shop is a great starting point for first/then visuals and working for boards! 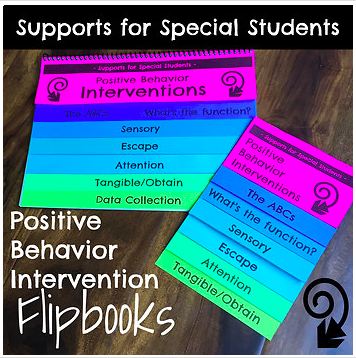 This Positive Behavior Intervention Flipbooks product from Supports for Special Students is an awesome resource to start off your year! It's a great item to have handy for your paraprofessionals and any other teachers your students might see as well! 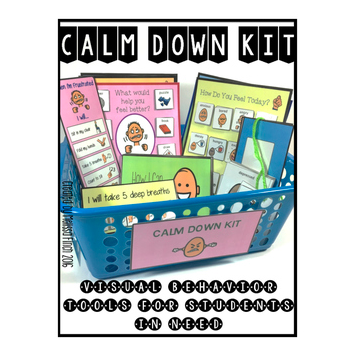 This Calm Down Kit from Autism Adventures is something that I have used in my classroom for years and honestly is a must buy for any self contained classroom! 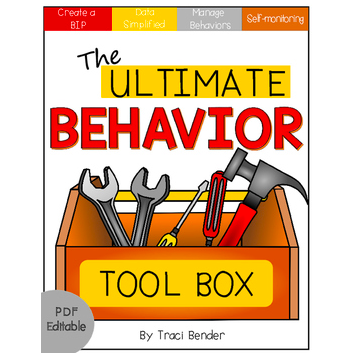 This Behavior Tool Box from The Bender Bunch is another great resource to get you started with dealing with behaviors from day one. She even includes walking you through writing a Behavior Intervention Plan! This IEP Goal Bank & Data Sheets from my shop is a great resource to build your stock of data sheets and IEP goals. Please read the description of this before purchasing as it applies mostly to elementary classrooms. 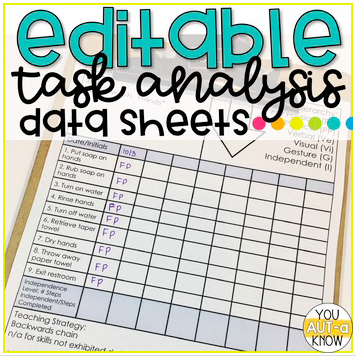 These Task Analysis Data Sheets from You Aut-a Know are perfect if you will have any students working on sequencing activities such as hand washing! 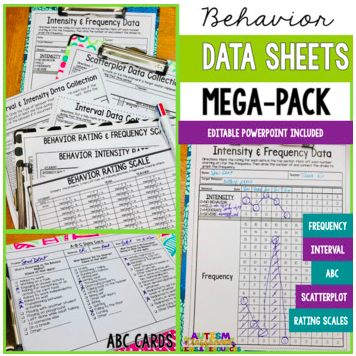 These Behavior Data Sheets from Autism Classroom Resources are a perfect addition to your data sheets if you will be dealing with behaviors in your classroom! This Easy Data Collection pack from Supports for Special Students is another great data sheet resource! This is probably the hardest section to narrow down. Below I'm going to list some of the best resources to start off your year (again, some might not work for your age group, but I will try to add a variety!). Many of these items will be bundles and a little pricey, but honestly will be the BEST bang for your buck in the long run! There are SO MANY awesome resources to add to your classroom over time, but these are a good base to start off your time in a self contained setting. Anything you see below is something that I would personally use with my own students. I LOVE file folders. We use file folders every single day in my classroom whether it be for morning work, independent work, or one on one instruction. 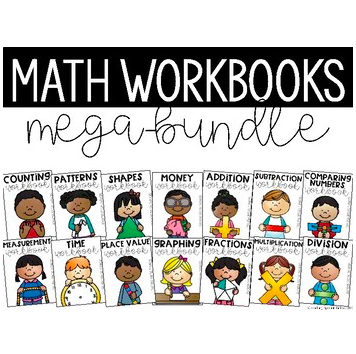 This bundle will last you the ENTIRE school year and guarantees your students will never get bored of them! 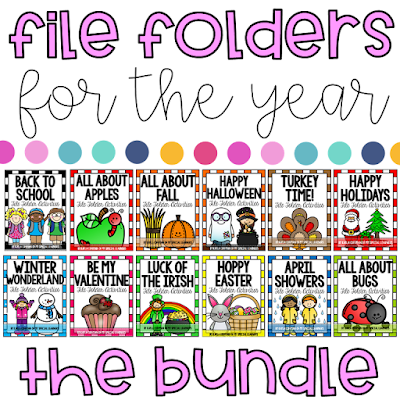 You can also find a similar Intermediate File Folder Bundle for the Year for your students who are working on a little higher of skills! 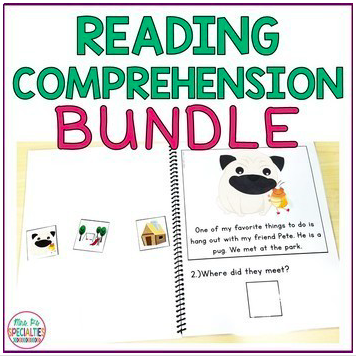 If you are needing resources to work on reading comprehension with your students, this Bundle from Mrs. P's Specialties is a great way to be set for the year! I used these Math Workbooks from Teaching Special Thinkers almost every day last school year. The variety of math skills is AWESOME and so worth your money! Plus - no prep! I know one of the hardest things to find is work that our lowest level learners can participate in. 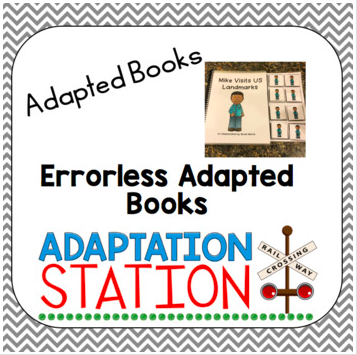 These Errorless Adapted Books from Adaptation Station are a great way to get those students started on adapted books! 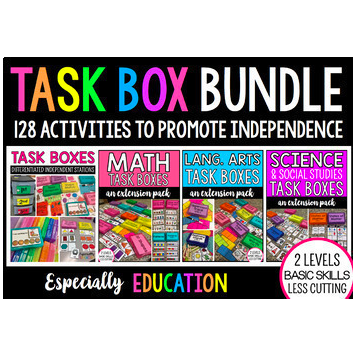 These Task Boxes from Especially Education are another great item to prep to start off your year. These are great for 1:1 work and independent work! 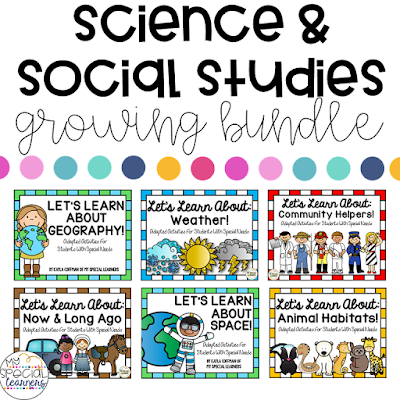 This growing bundle of Science & Social Studies activities is the perfect way to include those topics in your curriculum throughout the year. (Life Cycles will be added soon after this post is published!). 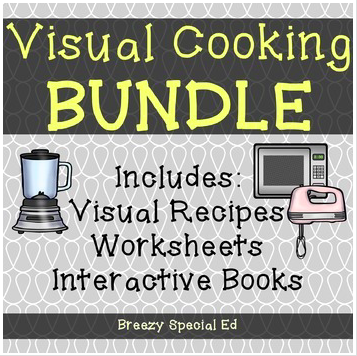 If you're working with older students and need to incorporate some life skills, these Visual Cooking Recipes are a perfect starting point! 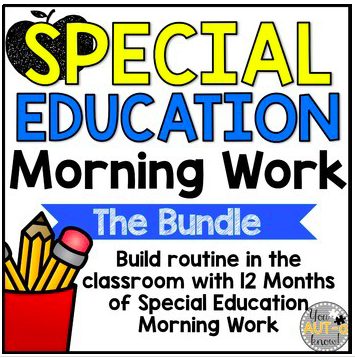 This was only a small piece of the amazing resources for Special Education on TpT. Hopefully you saw a few things that will be a great start to your year (or career!) as a self contained teacher. Be on the lookout for part 2 of this blog post soon all about scheduling, the first weeks of school, managing paraprofessionals, communication, and more!